Hillary Clinton and Donald Trump are the least popular presidential candidates of all time. So why vote for either one? You wouldn’t know it to watch or read the news, but living in a duopoly doesn’t require you to hold your nose as you vote for someone you hate – merely because you hate the other candidate even more, or you’re deathly afraid of them. There are alternatives. And they don’t require you to compromise your ethics or vote against your own interests. 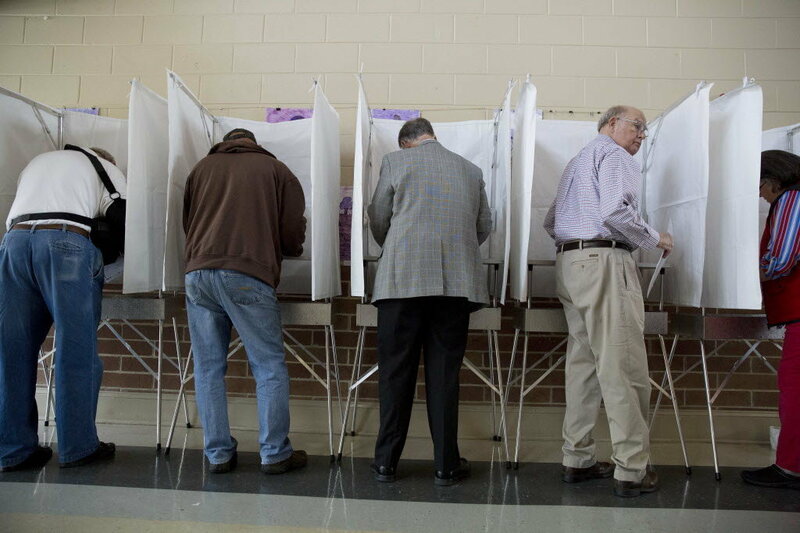 We’ve all heard it so often that we take it for granted: if you don’t vote, you’re apathetic. If you’re apathetic, you don’t have any right to complain when someone you don’t like wins and messes up the country. That might be true when at least one of the candidates is palatable. But the argument falls apart at times like this, when most Americans agree that both are awful. You and me, we may or may not agree on policy. But we probably agree on this: Wednesday morning, someone terrible will be president-elect. My lesser of two evils would be Hillary Clinton. But voting for her would tell the world that invading Iraq was OK. It would tell working-class people that NAFTA another free trade deals are OK. It would endorse the things that she endorses: bombing Libya and Syria, arming jihadis, Guantánamo, influence peddling, corruption on a scale that would make Nixon blush. None of that stuff is OK.
Citizens of countries with repressive and unresponsive ruling regimes often resort to the honorable strategy of the voter boycott. By denying the tyrants their votes, they rob their oppressors of legitimacy. Never doubt that governments need their citizens to vote. For example, you might wonder why Iraqi dictator Saddam Hussein bothered to hold his 2002 reelection campaign, in which he was the only candidate. The 11.4 million Iraqis who gave him his 100.00% victory (up from 99.96% in his previous “race”) allowed him, just before the U.S. invasion, to tell the world that he enjoyed his people’s popular support. The “No Land! No House! No Vote!” movement, which began in 2004, calls for the poor and dispossessed to boycott South Africa’s electoral political system on the ground that the bourgeois political parties don’t care about their interests. In the 2011 election, 42% of registered voters respected the boycott. Concerned that the movement hurts its reputation internationally — and it has — the ruling African National Congress party has subjected the movement to torture and beatings. It isn’t hard to imagine that a substantial decline in America’s already low voter participation rate would have some interesting effects. It would deny the United States its current holier-than-thou attitude toward other countries. And it would certainly inspire Americans outside the two-party system to consider the creation of a new political movement or third party as a more viable. “If a huge number of people joined [in an election boycott] it would make an important statement,” Noam Chomsky has said. “I will vote for Republicans up and down the ballot,” says Ari Fleischer, press secretary for George W. Bush. “But when it comes to the presidency, I’m going to leave my ballot blank.” Some Latino Republicans say they’ll do the same. So do some Bernie Sanders Democrats. As with a voter boycott, the idea is to let the system know that you are civically engaged, not apathetic. Nevertheless, you’re displeased with the candidates on offer. In counties and states that tally blank (also called “spoilt”) votes, this approach registers as a “none of the above” protest vote. The problem is, most municipalities do not count them — so they can’t send a message to the powers that be, the media, or to prospective third-party candidates. The appeal of voting third party is obvious: it’s a protest vote and it allows you to direct your vote to someone whom you might really want to see win in an ideal world. The problem is, the fact that it isn’t an ideal world is the reason that you’re voting going outside the duopoly in the first place. Theoretically, that’s a powerful argument. Trump is a fascist. I’m terrified of what he would do as president. I hate Hillary – but she’s not quite as obviously dangerous. Fortunately, this lesser-of-two-evils argument dies on the hill of mathematics. Unless you are in Chicago, where you can make the dead vote, the only vote you control is your own: one. Statisticians have found that the odds of one vote changing the outcome of the presidential election is 1-in-10 million — and that’s only if you live in a swing state. For most people, the odds are more like 1-in-60 million. As one wag calculated, you have the same odds of changing the outcome of a major election as dying in a car accident while driving to the voting station. The odds of your vote “going to waste” are significantly less than being struck by lightning twice during your life. So live a little. Vote, or don’t vote, however you feel like. This entry was posted in Blog, Columns and tagged 2016 presidential election, Donald Trump, duopoly, gitmo, Green Party, Guantanamo, Hillary Clinton, Jihadis, Jill Stein, Libya, nafta, protest vote, Syria, Third Party, two-party system on November 7, 2016 by Ted Rall. What to do this election season? There are choices, but none are much fun. This entry was posted in and tagged 2012 presidential campaign, Boycott, duopoly, Obama, Romney, Symbolism, Third Party, Two-Party Trap on August 29, 2012 by Ted Rall.